This past Monday we loaded up the car and took the whole family to see Toy Story 3 (NOT in 3D, I hate 3D). Yes that means myself, my husband, one 5 year old, two 3 year olds and a 6 month old. For the twins it was their first time at a movie theater and it was only the third time for the oldest. Over the past few years I have gotten into the habit of bring my own snacks and beverages to the movies. For starters its pretty much all junk and nothing appropriate for toddlers. But mainly because it is do darn expensive. I would be OK with my kids getting a treat if it did not cost a fortune. (Plus, I do love me some Raisinets). Normally we go to the small independent theater in town which seems OK with me bringing my own stuff in. I've walked in with reusable water bottles and candy I bought ahead of time with no problems. However this time we went to a chain theater the next town over because we specifically wanted the non-3D movie. 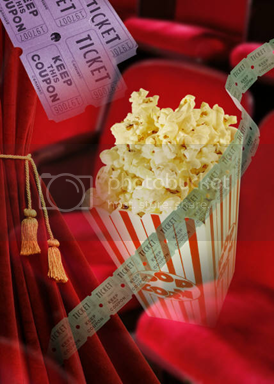 As we were standing at the box office dropping $40 on movie tickets, I glanced to the side and saw a big sign that said your own food and beverages were not allowed beyond that point or into the theaters. I chuckled to myself "Just you try and stop me!" To my advantage I was carrying an infant and being trailed by 3 little boys. So with that comes a big ole diaper bag. A diaper bag that I had packed with 3 Thermos cups of water and some Revolutions Foods Grammy Sammys and Jammy Sammys. We got settled into our seats and then the boys all enjoyed a yummy snack while watching the previews (which were like 20 minutes - ugh!). And of course they loved the movie, we are big Buzz and Woody fans in this house. Mommy liked it too. So do you bring your own food and drink into a movie or am I the only crazy one? What are some things you have brought and did you ever have any trouble with staff? I always bring my own food/drinks or else we don't eat or drink anything. I spontaneously went to a movie with my mom and 6 yr old sister a couple weeks ago, while we were out shopping and the movie tickets were 4.50 a piece. I thought 'wow that was kinda cool' (the place i am used to going charges 7 dollars). Then they got in line for pop/popcorn/whatever so i got in line too and didnt see prices, but i saw a sign that said free refills on pop and popcorn. I wasn't hungry so I just ordered a small pop - 4.75! and it was the size of a childs drink from mcdonalds. INSANE. I can't imagine paying those prices for an entire family! I always bring my own food into a movie theatre. It is not only the money but the portions are ridiculous and, of course, my children can't all decide on the same thing so there is no way to share. My son likes popcorn (which I do buy from the theatre so I don't feel that guilty about everything else) but my daughters like candy - and different candy. The bags of candy are like 5 servings and in a dark theatre, there is no way for me to get them to stop eating it. Plus, they are about $5/bag. We stop and buy a reasonable size candy on the way to the theatre and a bottle of water. In a time where childhood obesity is on the rise (and adult too) there should be more consideration for smaller, single sizes. When that happens I am happy to support the movie theatre concession stand. I seem to remember a friend snickering about all the food they've smuggled in- I think a pizza was the coup de grace of that conversation. Smuggling food is a time-honored art form! Just ask any teenager :) Sub sandwiches fit well under jackets, too. Sometimes I do, sometimes I don't. In the $3.00 theater I only have to dish out $12. That includes two movie tickets and two kid packs. The kids packs include a small popcorn, small drink, and candy. And the drink and popcorn are really not that small. Actually, they are perfect. If my kids are with us, we bring our own. If it's just me and hubby, I usually only have my wallet, because the diaper bag is at the sitters, so no place to put the goodies. Then we get one small soda and MAYBE a treat. MAYBE. I used to, I would even popcorn at home and put it in ziplock bags, but now the boys are all older and I don't have a diaper bag. The bottom line is that now I am too chicken. We took at four boys to Toy Story 3 3D for my oldest's birthday. We got three large drinks and the boys each had a small candy and the cost was insane. Dinner at Cracker Barrel and the movie were $160 and they wonder why we don't go out often. so glad to see another going green mom! I grabbed your button to remind myself to check back now and then! HOpe you come visit back, I have some great ecofriendly giveaways going on! I am embarrassed to admit I spent $4.50 on a small bag of Twizzlers last week AFTER spending $14.50 on popcorn and drinks. The tickets were even $18.50! Don't tell hubby, I think he would croak. Yes I do. OMG it's awful. You see, I actually have friends who work in the movie business doing crap like props and I know that this impacts their paychecks. Sure, it doesn't effect Brad Pitt's paycheck, but think of the little guy. SO yes I do and I feel bad about it. We always buy our soda there and we always buy the biggest one. Sometimes we buy popcorn too. But we NEVER buy candy there. We always bring our own.